Of the 3 replies I go today, this was the one I waited longest for, Prince William's birthday. He turned 33 in June. It is the usual reply for the Cambridge/Harry. A postcard size card with a picture on the front and a typed message on the back. The picture on the front was taken by Victoria Dawe. 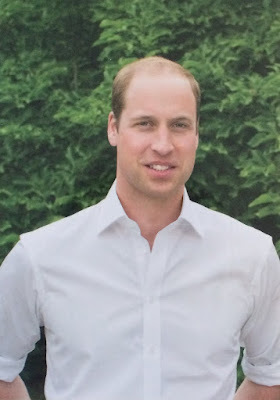 And is from the video shoot for the Queen's Young Leader's video message William and Harry did early this summer. The video was released June 15th. 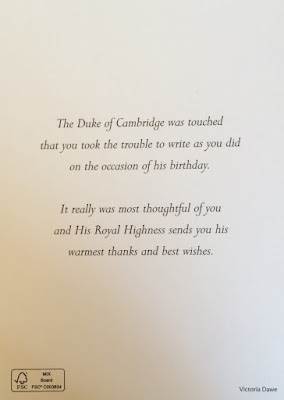 The Message on the back in is pretty much the exact same as the message from Kate's birthday this year, and Harry's last year.